Burbank is a dream come true for so many homebuyers. It is in the perfect location, for one thing – 12 miles (19 kilometers) north of central Los Angeles and around half an hour’s drive south from Santa Clarita. The transportation hub of the Bob Hope Airport allows people to get wherever they need to go rapidly. Folks enjoy easy access to just about everything that the region has to offer along with the relaxed vibe and comfortable living that Burbank affords. There’s a wide range of first-class Burbank houses for sale as well. The city of Burbank has a rich history from ranches to aircraft to the movie industry. Its small-town appeal is one of its most important drawing points and the community has something of an old-fashioned feel. Here older buildings are renovated to retain a classic look. The Magnolia Park area, for example, has quaint storefronts, antique shops and boutiques and many of the Burbank houses for sale here date back to the 1940s and ’50s. With everything that it has to offer, from its ideal location to its robust economy and laidback vibe, it’s no wonder why so many people select a house for sale in Burbank, CA as their residence. Business and pleasure are combined in the proper measure here. Finding the best real estate Burbank has to offer requires a good realtor. He will know the history of the neighborhoods and often particular homes as well, which will help you make the best possible decision. 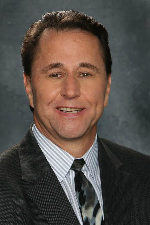 Realtor Dan Soderstrom would love to welcome you home to Burbank today.